Greetings, fellow Wilderness Explorers. I’m writing with news from a recent expedition to South America. 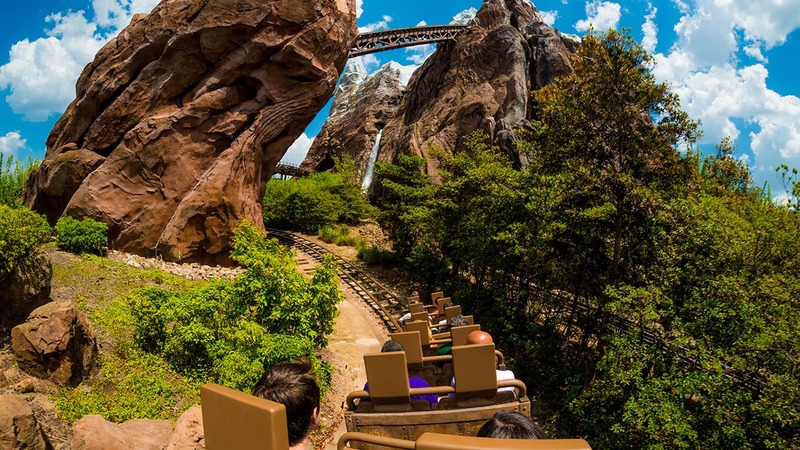 We’ve been tracking the large and exotic bird known as “Kevin” – you might remember her from the Disney•Pixar film “Up!” – and she appears to be migrating north from Paradise Falls, headed in the direction of Disney’s Animal Kingdom. Experts anticipate Kevin will arrive at the park sometime next month. Senior Wilderness Explorer Russell and his furry friend Dug are also at Disney’s Animal Kingdom, greeting guests and discovering various species of birds from around the world in the show “UP! A Great Bird Adventure.” You can visit them daily on Discovery Island and catch their show at the Anandapur Theatre. So be on the lookout for Kevin. We’ll update you here on Disney Parks Blog as soon as we spot her, and remember, adventure is out there! Will Kevin be meeting and greeting guests or just be in the “UP! A Great Bird Adventure” show? Andres – We anticipate you’ll most likely encounter her roaming Discovery Island. In the show, Russell and Dug are on the lookout for Kevin, but instead discover all sorts of other amazing birds! A few years ago, my best friend got me a Kevin stuffed animal to remind me that new adventures await after I went through a bad break up. Since then, Kevin has traveled with me to Ireland, Mexico, Niagara Falls, on mission trips, and down the East Coast for a solo road trip. She was even there for my Masters graduation ceremony! Most recently, however, she traveled with me to Indiana for my best friend’s wedding where she went missing at the Airport. I was, and still am, devastated and miss her greatly. I have been trying to find her but have had no luck. Now I see that she has made her way to Disney. I suppose she just needed her own adventure. My boyfriend and I will be visiting in June and I couldn’t be more excited to reunite with my best friend! Will Kevin be joining Dug and Russell at their meeting area in the Wilderness Explorers clubhouse? Or will she be roaming around the tree of life? Do we know yet if she will pose for photos? Maybe if we bribe her with chocolate? Marcie – Kevin is a wild bird, so we expect you’ll most often spot her roaming Discovery Island.